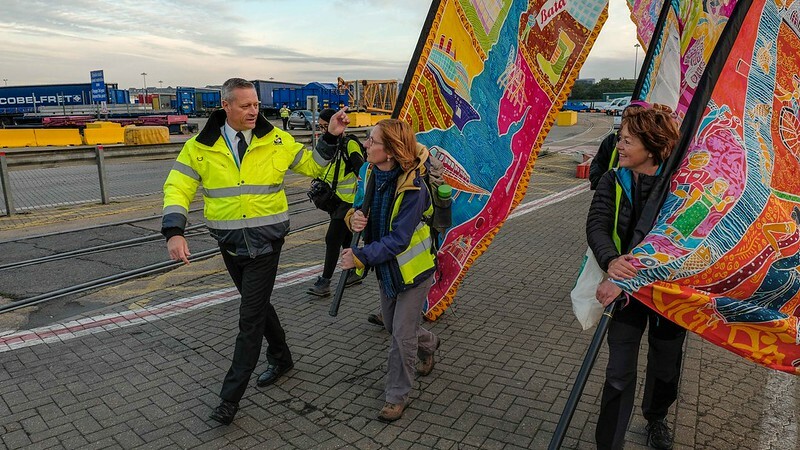 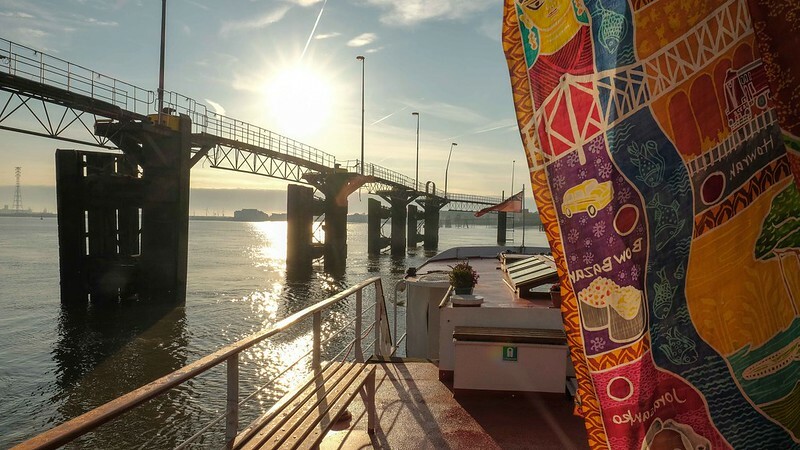 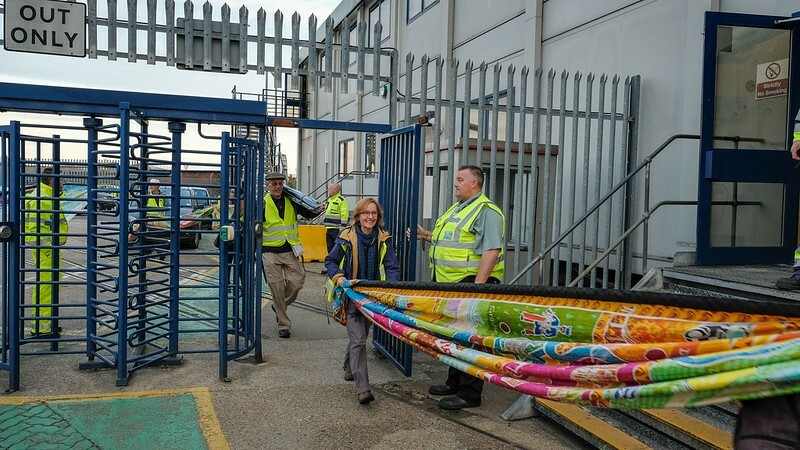 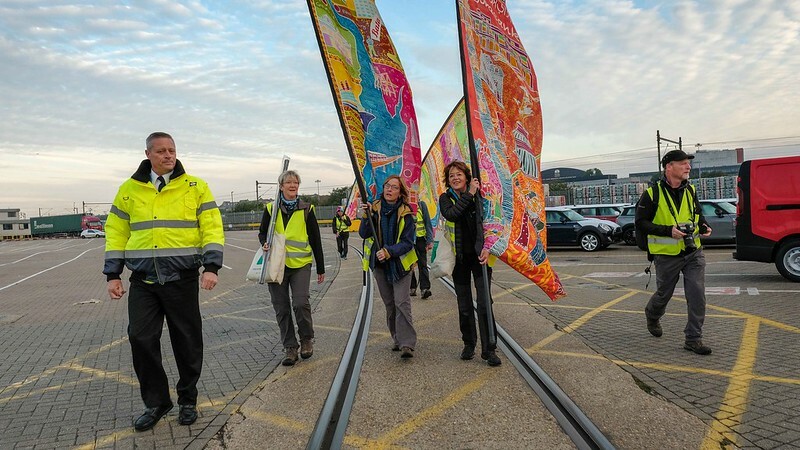 Landing just west of the Dartford Bridge on the gravelly foreshore with 10 giant silk flags (the Silk River Scrolls), we will meet local rangers to take us down the old tramway past the site of the old smallpox hospitals before arriving at Ruby Tuesday Avenue. 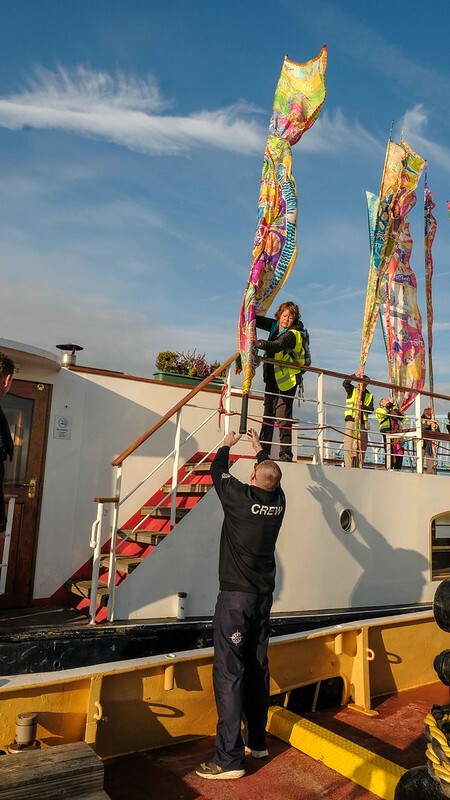 We are visiting the home of Mick Jagger, the birthplace of The Rolling Stones and artist Sir Peter Blake. 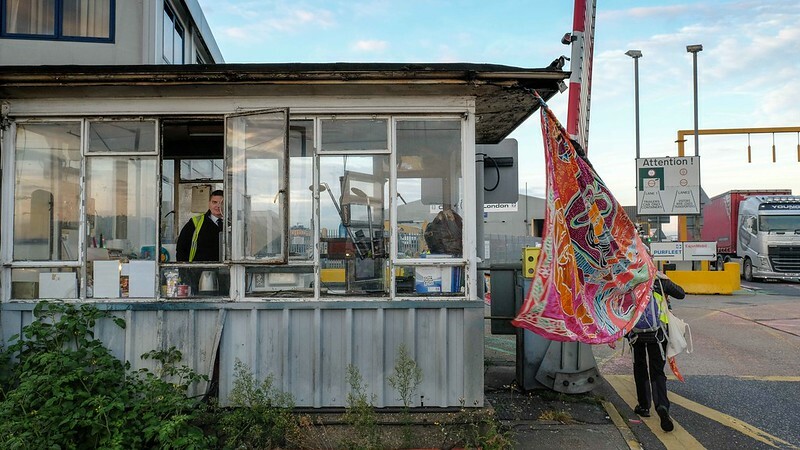 Discover Dartford and the legacy from its pop culture past that still thrives in the town today. 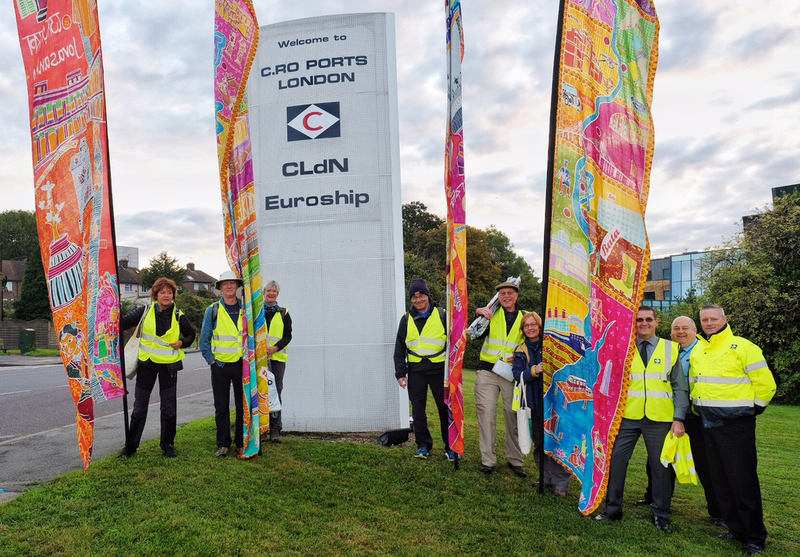 09.30 Start at Dartford Bridge Community Primary School, Birdwood Ave, Dartford DA1 5GB. 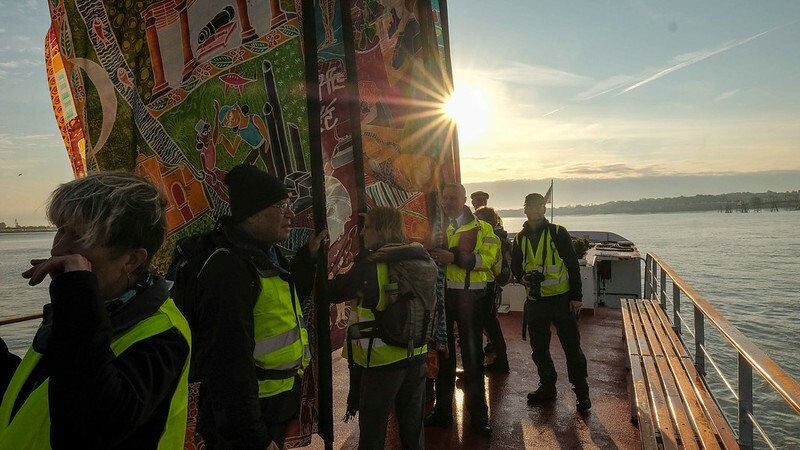 Welcome and introduction to the day. 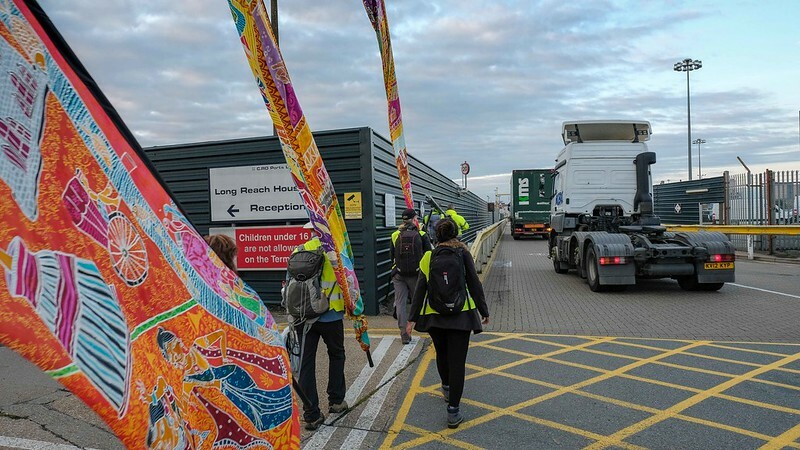 10.30 Alternative later start time at the school, omitting the ‘tramway’ walk to the Thames and back. 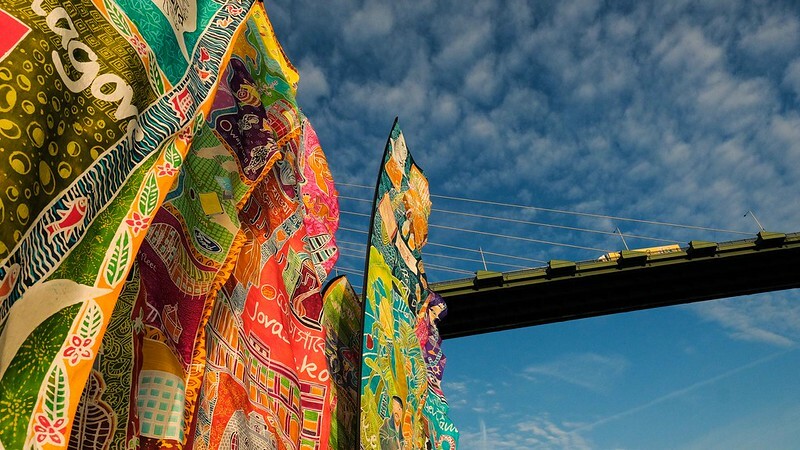 13.45 Arrive at Dartford Open Air Theatre for performance of local stories. 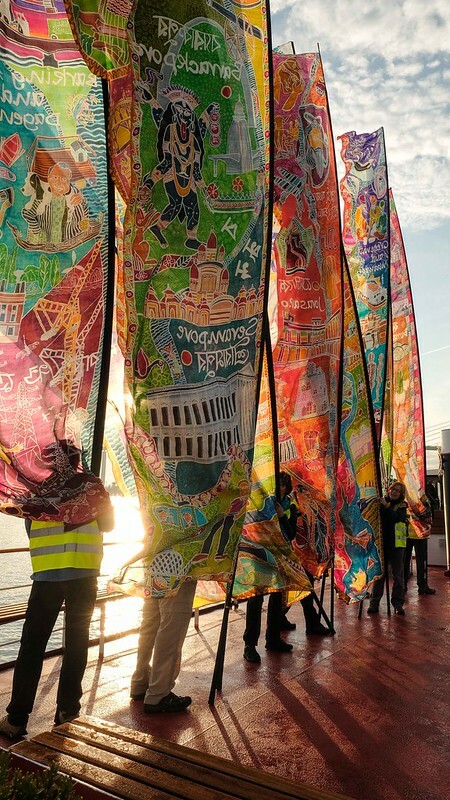 14.30 Farewell to the scrolls as they move on towards Gravesend. 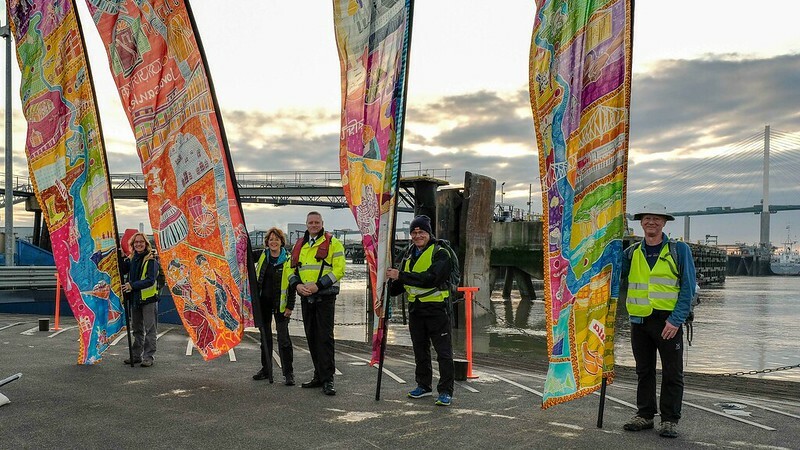 Special thanks go to Dartford Borough Council, their staff and partners for the planning and facilitation of today’s walk. 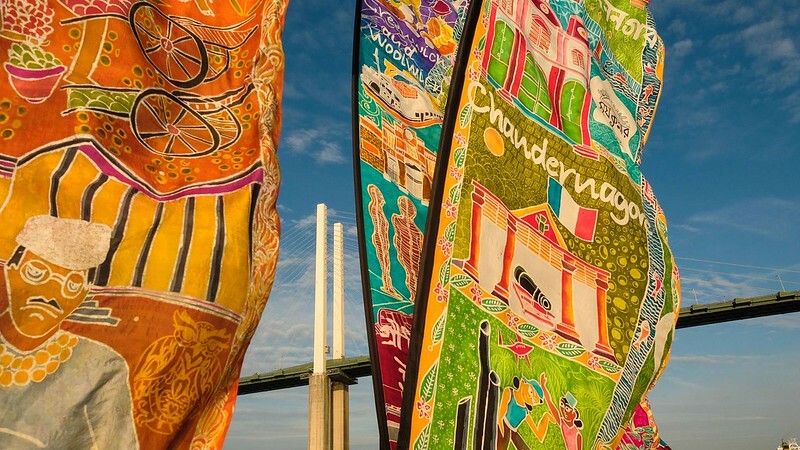 As the birthplace of The Rolling Stones, Mick Jagger and Keith Richards, it’s not surprising that Dartford’s Silk River journey starts with a walk from the foreshore of the Thames, along the long path used by river-borne patients, arriving at the old Isolation Hospital into a thriving new community, featuring street names such as ‘Ruby Tuesday Drive’ and ‘Satisfaction Street’, in honour of our famous rock royalty. From the shadow of the Queen Elizabeth II Bridge, the walk celebrates Dartford’s rich industrial and manufacturing history including Sir Henry Wellcome’s former pharmaceutical works where the modern ‘Tablet’ form of medication was introduced to the world. 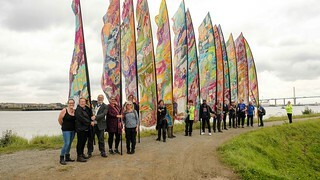 Onward via marsh paths and the River Darent, walkers arrive at the splendour of Central Park – recently restored in grand Edwardian style. 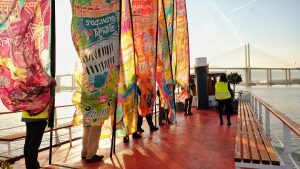 We gather at the Outdoor Theatre, fresh from hosting amazing performances of Hamlet and The Mikado for the people of Dartford. 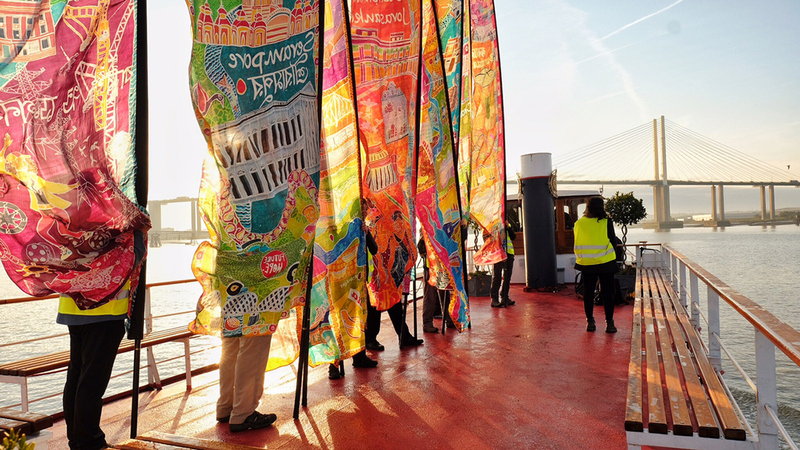 On the way, we’ve celebrated a great riverside town’s extraordinary history with more than a nod to the modern NHS, the greatest rock band in the world and an unrivalled contribution to global industry and manufacturing. 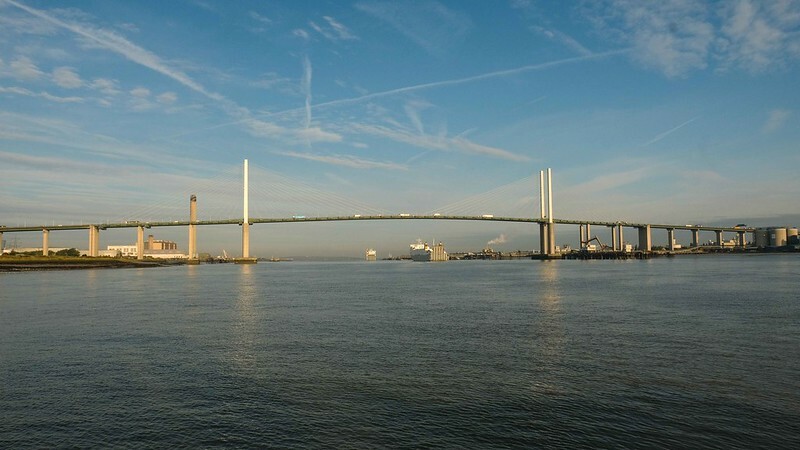 This is Dartford. 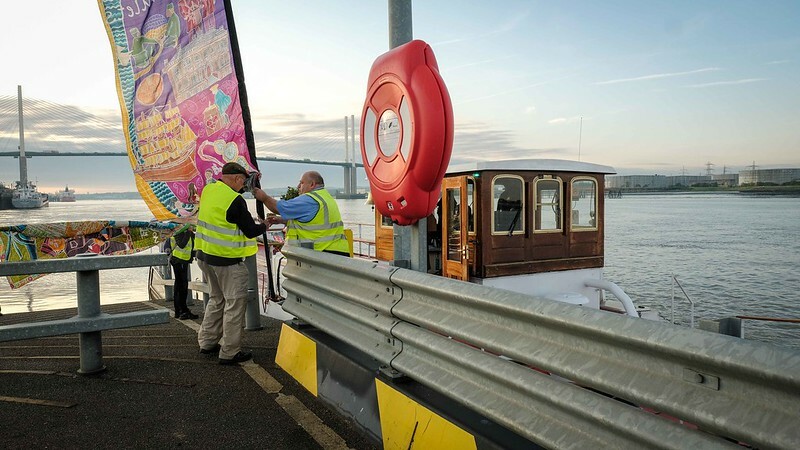 Special thanks also go to Livett’s Group/ Bennett’s Barges who will be proving safe passage for our link-walkers across the Thames from Purfleet to Dartford. 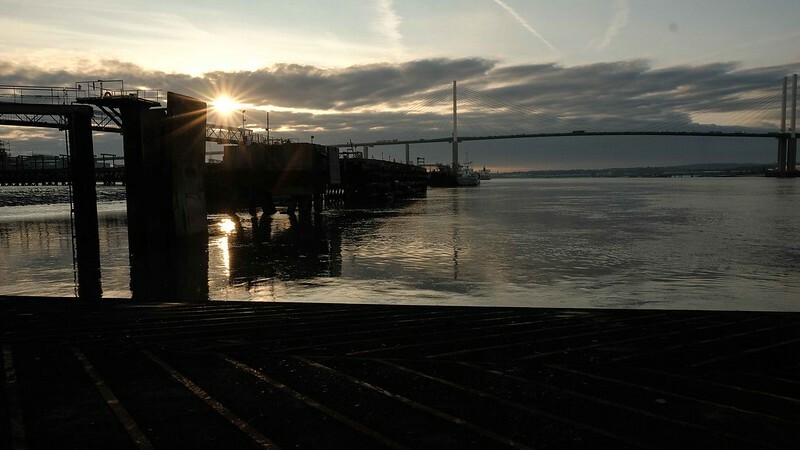 Experts in sustainable transportation and waste management services, Bennett’s Barges boast one of the largest fleets of tugs and barges on the River Thames, Medway and the South East’s waterways focused on the movement of aggregates, containers, bulky materials, waste, plant and specialist items into, out of or within London and the South East. 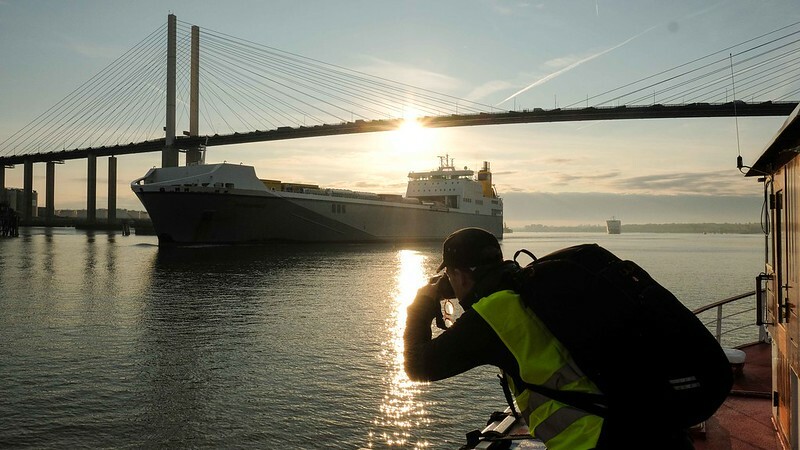 Livett’s Group are specialists in a wide variety of marine services on the River Thames – including logistics, civil engineering, film and television services and breathtaking PR stunts – and have developed an enviable reputation for operational excellence. 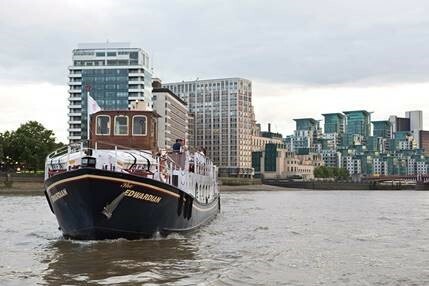 The Livett family have worked the tidal River Thames in London since 1710 and the Managing Director, Chris Livett, Watermen to H.M. Queen Elizabeth II, is actively involved in encouraging the positive usage and development of our great river. 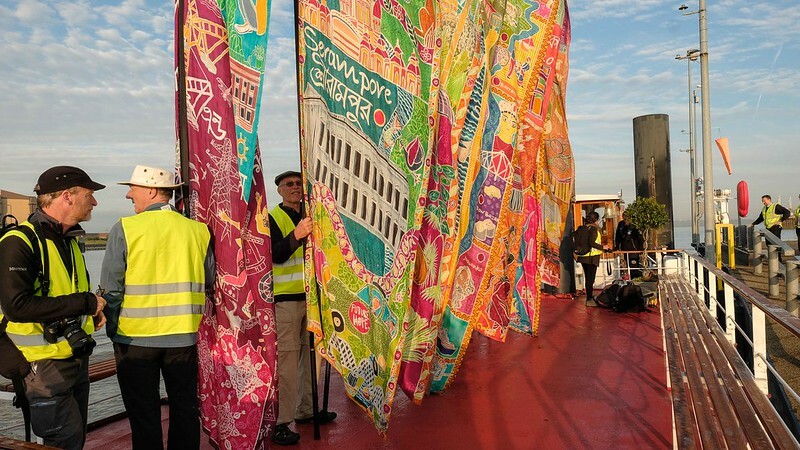 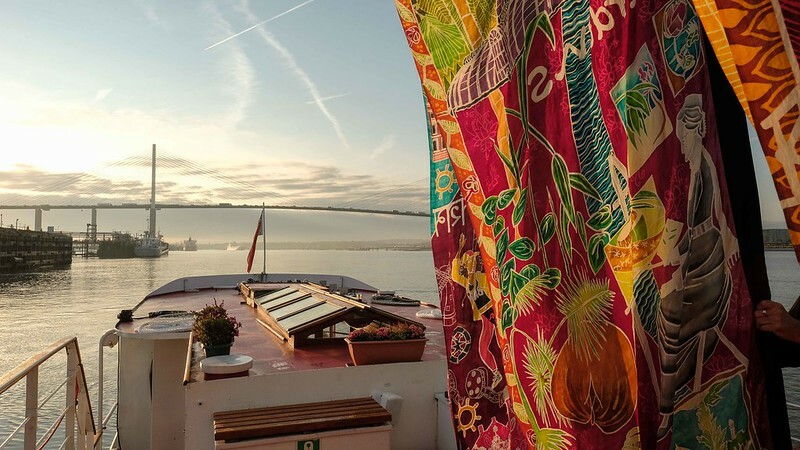 As such, we are delighted to be supporting and assisting Silk River both publicly and logistically with their performative walks along the River Thames, marking the 70th anniversary of Indian independence and their cultural relationship with the UK as part of September’s Totally Thames Festival. 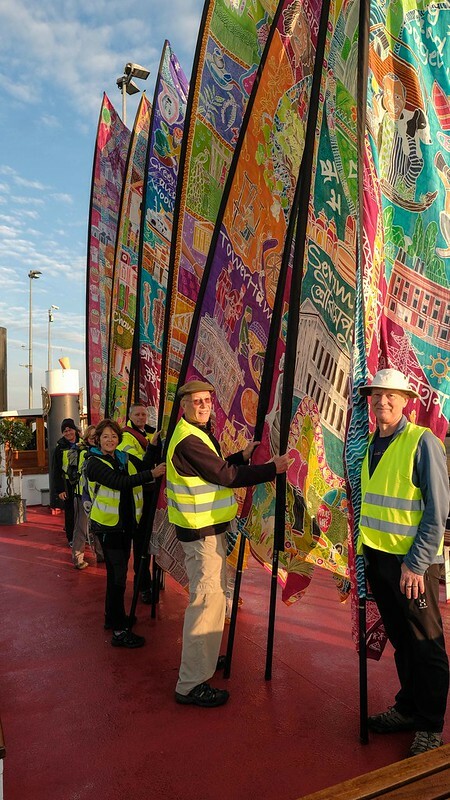 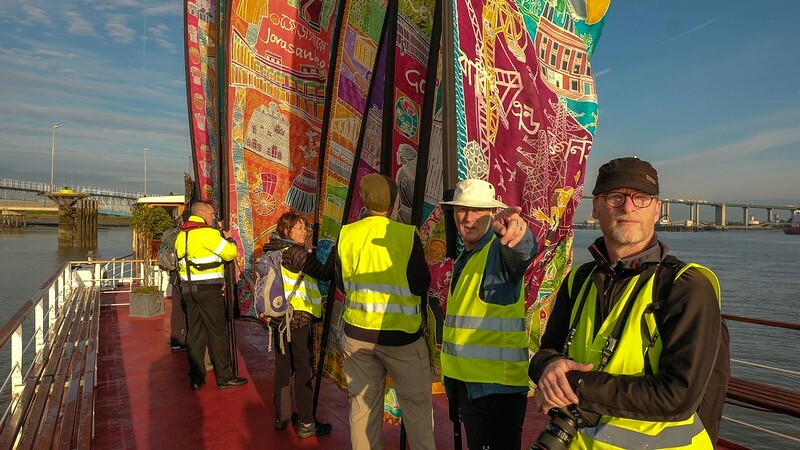 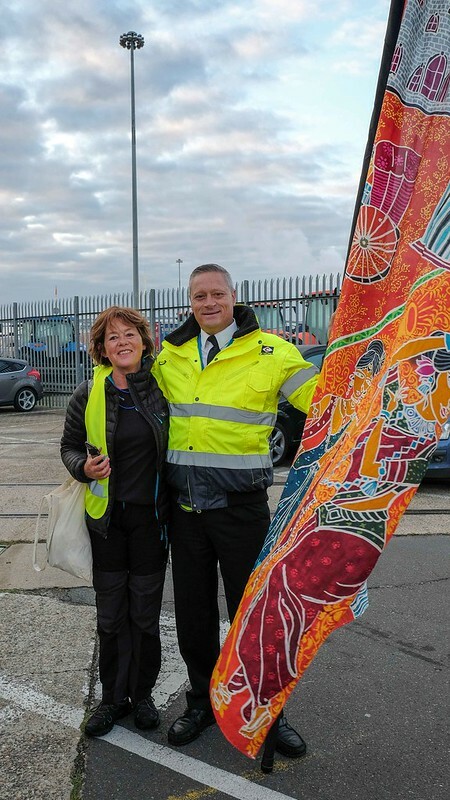 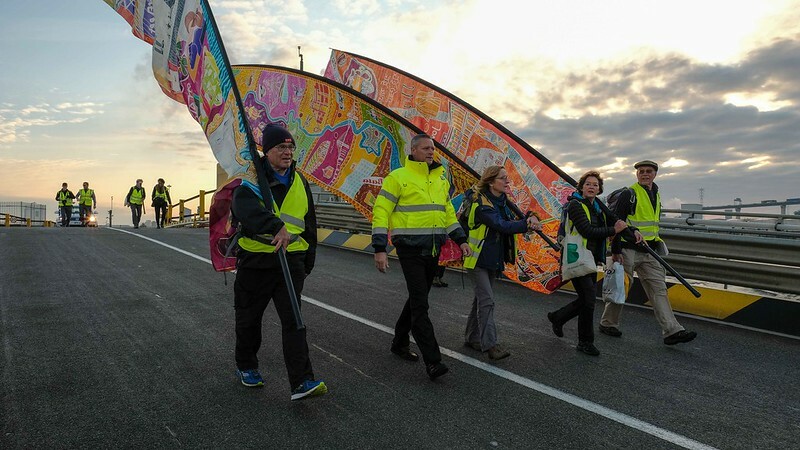 Upon the group’s arrival in Purfleet with 10 decorative scrolls at the midway point of the walk on Tuesday 19 September, they will embark on to our luxury vessel Edwardian and travel across the river to Dartford, where their journey on foot to Southend Pier will continue. 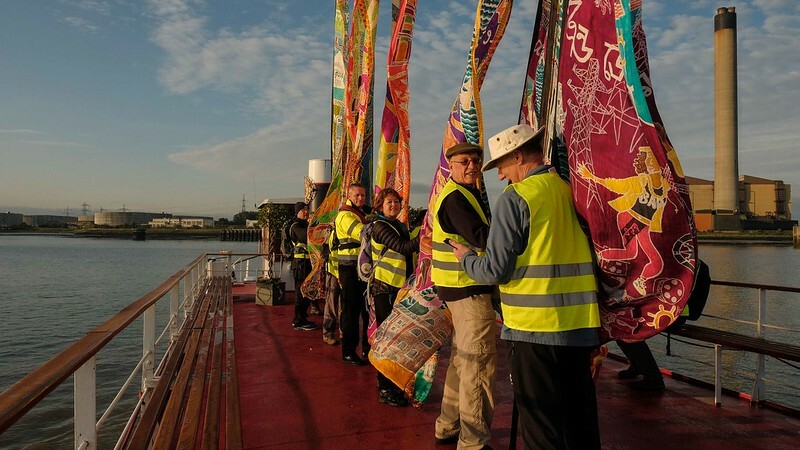 Livett’s Group would like to take this opportunity to wish everyone involved with Silk River the very best of luck. 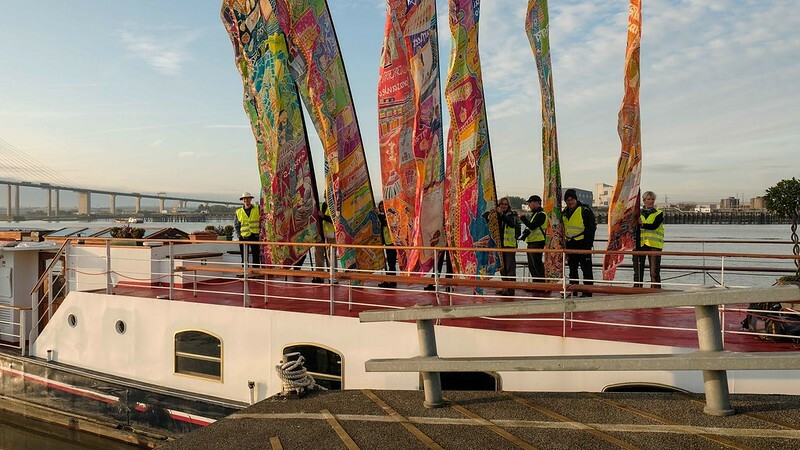 We’re excited to welcome you and the fantastic scrolls on board! 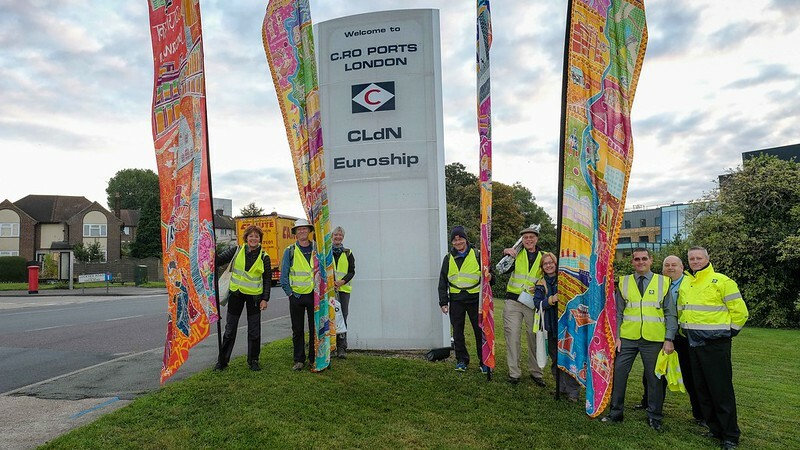 Special thanks also go to C.RO Ports London Ltd who are facilitating this leg of the journey from Purfleet to Dartford.